i loved it!! I am buying the soundtrack to Masterminds tomorrow!! I love Vincent kartheiser!! I love him on the tv show Angel as Angel's son Connor. So I had to see masterminds,which is action packed, so buy it and check out the soundtrack!!!! Good for Stewart fans, suspensful, but not outstanding. Masterminds may not be a great movie but a good movie. Acting is great. Plot is great. Script is great. It is hilarious, exciting and action-packed. 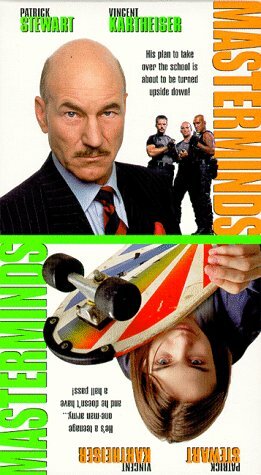 It was fun to watch "Masterminds"
I love Patrick Stewart's acting in this movie.